Submit your enquiry to receive our best price. 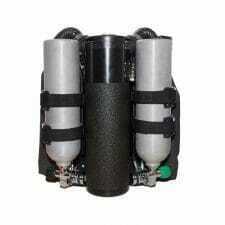 While outwardly the same rebreather as the original Spirit, the Spirit LTE has several attributes of its own, namely weight. In place of the all stainless frame used in the Orca Spirit, the Spirit LTE rests on a single piece of ABS plastic that serves as both back plate and mounting frame for the rebreather. While the ABS plate is slotted to accept any back plate harness, the LTE comes with a complete Dive Rite Trans plate harness and matching XT CCR wing. Instead of stainless Fastex clamps, scrubbers and oxygen cylinder are each held in place by a single 1.5-inch wide cam band. By ditching the stainless steel frame, the weight of the Spirit LTE (without cylinder and absorbent) is reduced to 21-lbs. / 9.5 kg. In place of the Aqualung Mikron second stage in the ADV on the Orca Spirit, the LTE version uses that same tilt valve system included on the Classic Explorer. The clear PVC featured on the OS scrubber’s have been replaced with grey PVC and given a Rhino Guard coating. While the concept of being able to see what is happening inside the scrubber is cool, the coated scrubbers are actually a little more efficient in retaining heat (important for the chemical reaction in the absorbent). It also seems to give the Spirit LTE a more hard-core tech diving appearance. The Spirit LTE’s modular design allows it to be broken down into multiple pieces without the need of any tools. This makes it easy to pack for transport, and it will even fit in a compact airline carry-on bag. 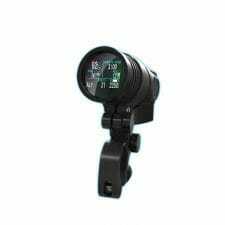 While a little bit more minimalistic than the Orca Spirit, the LTE version still retains the same performance characteristics, and is suitable for all types of CCR diving, from shallow reefs to deep wrecks and caves. And because of its size and weight, the Spirit LTE will easily accommodate divers of a smaller size and build. 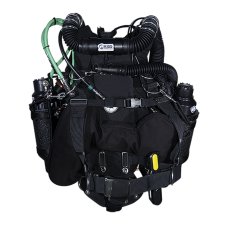 The Spirit LTE package includes all the primary loop components – both scrubber canister’s, scrubber head’s, ABS stand, three 1.5-inch cam straps, O2 first stage, Hollis BOV, loop hoses, Dive Rite Trans Plate harness with matching Dive Rite 40lbs. XT CCR wing, and a single Fischer cable. 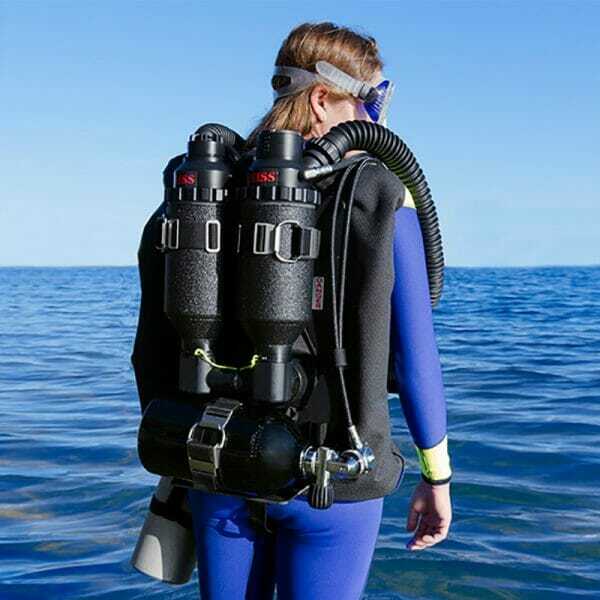 The LTE requires an oxygen cylinder, three 22D type oxygen sensors along with a PPO2 display of one form or another, SPG for the Spirit’s oxygen reg, and a complete diluent/bailout cylinder with first/second stage regulator in order to dive this rebreather. Choice of computer systems is up to you, Shearwater Research does provide the best options currently on the market for both PPO2 monitoring and multi profile diving applications.